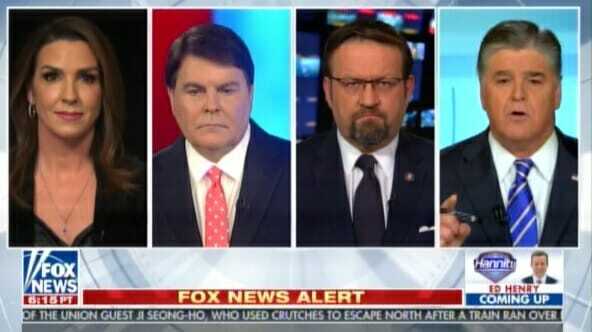 FOX News legal analyst Gregg Jarrett went on with Sean Hannity on Friday night after the release of the House Intelligence FISA memo. Jarrett said his sources told him Rod Rosenstein threatened the House Intelligence Committee members three weeks ago. Gregg Jarrett: I can tell you a congressional source tells me that Rod Rosenstein in a meeting three weeks ago threatened Chairman Nunes and members of Congress he was going to subpoena their texts and messages because he was tired of dealing with the intel committee. That’s threats and intimidation.